1989-1995 TOYOTA 4RUNNER V6 3.0L ENGINE. 1989-1995 TOYOTA TACOMA V6 3.0L ENGINE. 1989-1995 TOYOTA PICK UP V6 3.0L ENGINE. Include ALL (BLUE) accessories UNIVERSAL (BLUE) high performance washable Air Filter. 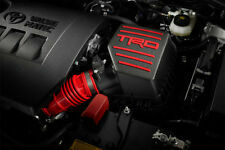 Toyota part # PTR0312160 TRD Performance Air Intake System. part fits specific Toyota Corolla iM models. Intake System. Our Toyota parts and accessories are expedited directly from authorized Toyota dealers. One set of air intake snorkel kit. 1990-1997 Toyota Land Cruiser 80 Series. Made by high quality matte black ABS plastic. 2012-2017 TOYOTA CAMRY 2.5L I4 ENGINE. NOT FIT if your car have After Market Turbo Kit. Include ALL (BLACK) accessories UNIVERSAL (BLACK) high performance washable Air Filter. Fit the models below. 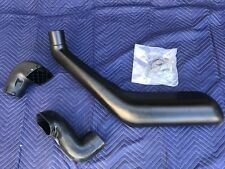 Complete Snorkel Kit for 2005 to 2015 Toyota Tacoma. TRD shift knobs provide automatic shift vehicles with an enhanced appearance and shiftingfeel. Stylish black wrapped shift knob with red TRD logo. 2005-2011 Toyota Tacoma 4.0L V6. 1 x Heat shield. 1 x Air intake pipe. Lightweight high air flow racing performance spec. 1 x Air filter. Made of high quality aluminum material for strength and durability. 2007-2009 TOYOTA CAMRY 2.4L l6 ENGINE. Clean with any cleaning kit such as K&N or AEM cleaning kit (cleaning kit not included). NOT FIT if your car have After Market Turbo Kit. Fit models below (Fit Automatic and Manual Transmission). NOTE : All of turbo parts and performance may require slight modification in order to fits perfectly. User must follow the direction given and any m. isuse of this product is at his/her own risk. Canada and International Countries. 2009-2014 Toyota Corolla 1.8L Engine. 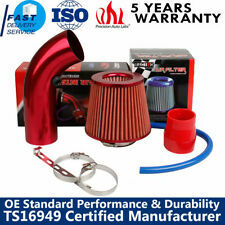 This Cold Air Intake Kit (With Heat Shield) is compatible with Intake kit with Heat Shield Plates will usually increase 8-10 horsepower and 8-10 Torque and fuel efficiency. 2005-2011 TOYOTA TACOMA 4.0L V6 ENGINE MODELS ONLY. 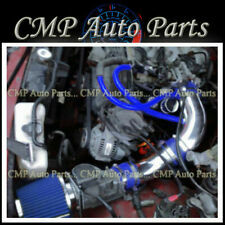 1 SET OF COLD AIR INTAKE SYSTEM WITH BLACK AIR FILTER. Made of high quality light weight matte black C.N.C machined aircraft aluminum with black air filter. 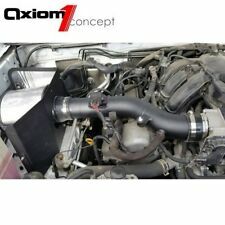 K&N 57-9015-1 Cold Air Intake System Kit 99-04 Toyota Tacoma/4Runner V6-3.4L. Condition is Used. It was on my 2003 Toyota Tacoma prerunner v6 3.4 litter, it comes with the necessary hardware to install it,I just oiled about 2,000 miles ago so is clean any question please feel free to ask thanks. No need to tune your engine. The fit and finish are second to none. With the highest regarded installation instructions on the market, your 2016-2018 Tacoma will be breathing easy in less than 60 minutes. Cold Air Intake Snorkel. 1998-2007 Lexus LX470. 1998-2007 Toyota Land Cruiser 100 Series. (For models with production dates between 04/1998-09/2007). Minor Drilling / Cutting Required For Mounting. Matt Black Texture. 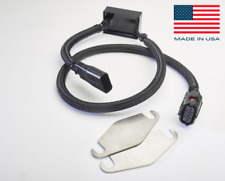 Increase your airflow and protect your engine with an S&B Cold Air Intake Kit. Their state-of-the-art engineering & production processes insure you get an intake that will perform as advertised andinstall easily in less than 30 minutes with no drilling or cutting. Secondary Air System / Air Induction Pump Bypass Kit. It also includes two (2) bypass plates made from precision cut 304 Stainless Steel. Any previous repair to the AIP system or update ECU could causes a miscommunication with the bypass module, this could include. Fresh Air Intake Hose 17881-03110 NEW for 00-01 Toyota Camry Solara 2.2L NEW. 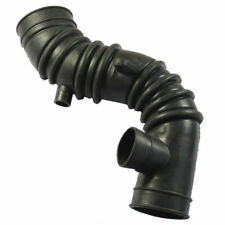 2000-01 Toyota Solara Air Intake Hose for L4 2.2L. 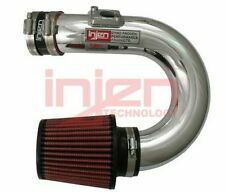 2000-01 Toyota Camry Air Intake Hose for L4 2.2L. Fits in between air cleaner and throttle body. 1995-1999 Tacoma 2.4L Engine. Include ALL (BLUE) accessories UNIVERSAL (BLUE) high performance washable Air Filter. Fit the models below Hawaii, Alaska, Puerto Rico, Guam, Virgin Island, APO, FPO, AE, and PO Box. 2005-2011 Toyota Tacoma 4.0L V6 Engine Models Only. Glossy Black Aluminum Cold Air Intake With Black Filter. Demo / Installation Video. THIS PRODUCT IS COMPATIBLE WITH. Designed To Provide More Horsepower And Increase Acceleration. 1988-1995 Toyota Pickup 3.0L V6 Engine. This Cold Air intake kit is compatible with Intake kit will usually increase 5-8 horsepower and 5-8 Torque and fuel efficiency. High Flow Air Filter that is washable and reuseable (DO NOT OIL THE FILTER). 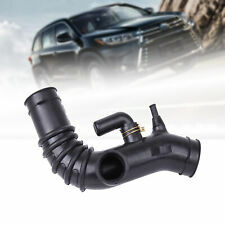 Complete Snorkel Kit for 2016 & Newer Toyota Tacoma Brand New Multiple Sets in Stock Ships from Florida All hardware Included Installation instructions not included No returns All items are carefully inspected before shipping 100% customer satisfaction guaranteed Free shipping to most states. Some exclusions such as Hawaii, Puerto Rico, Alaska and a few others. Can ship to any location at buyers cost. 95-98 Toyota T100 V6 3.4L. Introducing the all-new Evolution sealed air intake system Part Number EVO2200 for the Toyota Tacoma V6 3.5L ! This intake was designed using the most State of the Art engineering tools and techniques to produce the finest quality kit that is unmatched. 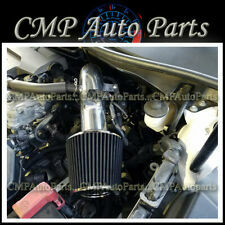 2005-2011 For TOYOTA TACOMA 4.0L Air Intake Kit. Trending at $371.93eBay determines this price through a machine learned model of the product's sale prices within the last 90 days. This scoop is constructed of high-quality cross-linked polyethylene plastic and made from heat soak resistant material for greater strength and unique styling. High-Quality D.A.S Scoop This Dynamic Air Scoop is constructed with roto-molded plastic and made from heat soak resistant material for greater strength and unique styling.